I’ve been back in the States for over a month now and many of the initial shocks and surprises of this “Western” environment have dissipated; I am getting much better at walking on the right side of aisles in stores and guiding right whenever I’m entering or exiting buildings, which allows for much better mobility than I was experiencing in Los Angeles. I took my time getting back to Wisconsin, spending several days in Los Angeles, Denver and Chicago with good friends. Much of my re-entry process those first few weeks was getting through the long, drawn-out battle with jet-lag (the return to the U.S. was WAY worse than what I remembered about my arrival to Thailand last year), the re-introduction of foods, and the climate. I’ve long since set my internal clock back to Central Standard Time but those first few days of waking up wide-eyed at 3:00am were not fun. As for the foods, I’m satisfying my Thai cravings with lots of rice and vegetable stir-fries, though these dishes are just not the same as found in Isaan. The climate, however, is something I will need much more time to accept. I’ve never been a fan of winters in the Midwest but as a native, my frustrations with the sub-zero temperatures and arctic wind chills usually don’t set in until mid-February, when winter feels as if it may very well just never end. This season, however, temperatures that would have me exercising in a long-sleeve t-shirt and shorts a year ago are sending me to the depths of my closet for the warmest wool jacket and knitted accessories. And it hasn’t even hit freezing yet. This will quite possibly be the longest winter of my life. Every day it’s different. One day I really miss my favorite Thai dish and the next I’m so grateful for toasters, huge refrigerators and sandwiches. I’ve stopped turning the serving bowl into the community bowl and dipping my spoon into it at the dinner table (much to my mom’s relief) but I also really miss eating outside, in hot weather. I really miss working so hard to express one idea or opinion in Thai and actually be understood. I miss biking down the street and hearing neighbors inquire “Where are you going?” or “Have you eaten yet?” Yesterday I walked to our local library and not one person asked me anything, or even said hello. I’m pretty sure one woman with a stroller even crossed the street when she saw me and I’m not sure why. Well, I did have one lengthy conversation with an individual but ironically he’s not even a U.S. citizen; he’s from Zimbabwe. There is a definite lack of community here. And the silence is deafening. So I also miss the crickets. That said, it is still good to be back. It was time to be back. However I am so very restless during this transitional period; I don’t yet have a job so there are certain things I should do to get one, like seek job postings and write those ever-so-stimulating cover letters. And then there’s this other part of me that wants to do all of these things I enjoy doing to fill up this time I’d like to refer to as funemployment. So I’m crocheting scarves, reorganizing my photographs and cooking new lentil soup recipes, during which a little part of my more responsible, pre-Thailand self, is tapping her foot and saying “This is all grand, but you really need to get a job.” Okay, as if I didn’t know that already, self. But maybe a little part of me doesn’t want to at all. 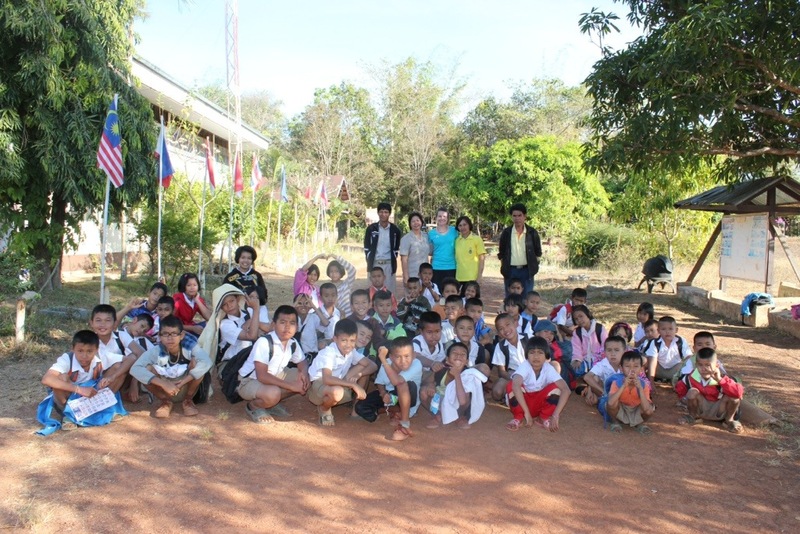 I still have dreams about teaching in Thailand. I wake up remembering a few of my students’ faces and then go about my day. When I first came back to the States I would try and recall some of my students’ names in my head, as if me remembering them would cement my experience and ensure that it was in fact something concrete and not just a dream. But this is not a dream, it’s reality…and it’s time to get a job.